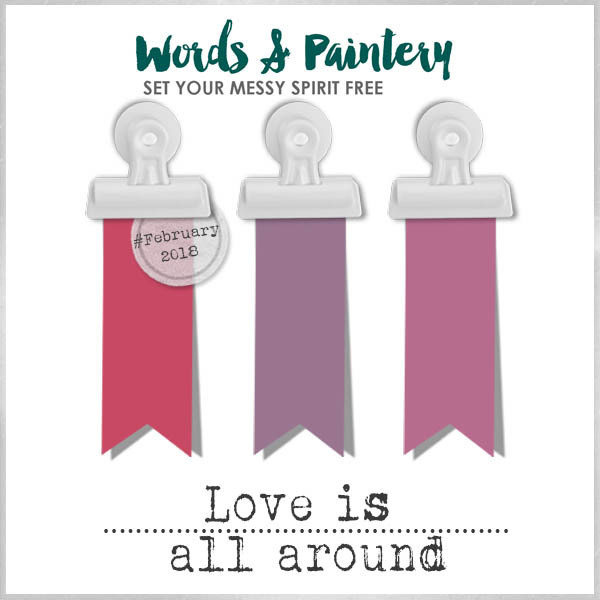 Today I´m sharing my project for the brand new challenge at Words & Paintery. I created a canvas using a 12x12 Canvas piece from Canvas Corp & embroidery hoop. I created texture to the canvas with heavy white gesso and then used water color pencils to get the right color shades. The embellishements came from my pile of nicknacks - the big flower is handmade and was given to my daughter who wanted me to use it for a project. Please swing by the Words & Paintery blog to se what the rest of the team created.